The city of Pueblo Tequila is located at the foot of Volcán de Tequila. It benefits from warm weather and some rain throughout the summer and autumn, creating an ideal climate. The town’s history is directly associated with the drink that bares its name. Tourists come to visit the many distilleries in Tequila to observe the process involved in making tequila. Since pre-Hispanic times, alcohol distilled from cactus plants has been called mezcal. 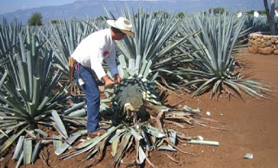 In the late 19th century, the name tequila was applied to mezcal produced the blue agave cactus, which grows throughout Jalisco. 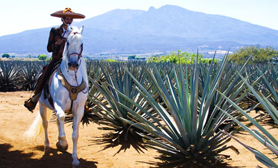 Tags: blue agave cactus tequila, distilleries Tequila, mezcal tequila, Pueblo Tequila, pueblo tequila jalisco, visit distilleries Tequila mexico, Volcán de Tequila, Volcán de Tequila Mexico, what is tequila made from, where is tequila from?